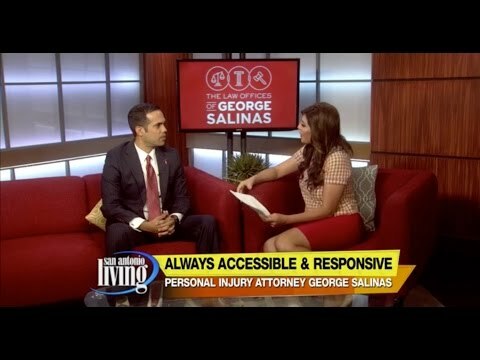 The Law Offices of George Salinas, PLLC is a San Antonio & Austin based law firm focused on personal injury law in Texas. Our Personal Injury Attorneys fight to make sure our clients voices are heard and their unnecessary losses are fully compensated and understood. Accidents and injuries can happen to anyone at any time. You need a personal injury attorney who is available to you. You need an attorney that is tough, experienced and aggressive. 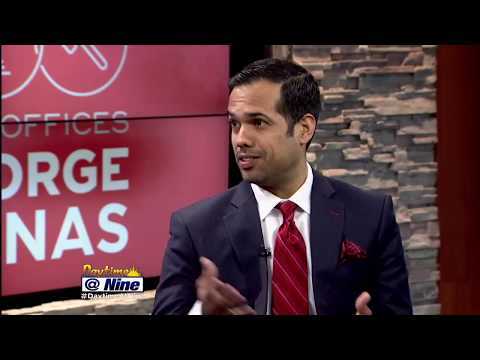 At the Law Offices of George Salinas, PLLC, a boutique personal injury law firm in San Antonio, we are here for our clients and their loved ones. You may be qualified to compensation for medical bills and more. We will aggressively fight for you in court to ensure you get the means for a full recovery. If you’ve suffered from an injury at the fault of someone other than yourself, you will want to have the best personal injury attorney in San Antonio by your side. We’ll provide you with guidance and work towards a settlement that you deserve. We know that whether you’re going through physical or psychological issues, medical bills can pile up and put you behind, and our personal injury attorney will work towards results that allow you to move forward with your life. The sooner you call a personal injury attorney, the faster you’ll get compensated. An auto accident attorney in San Antonio understands the complexities that come with providing accurate legal representation during this time. Our team is thorough and we take the time to investigate every aspect of your particular case. We know that when you call an auto accident attorney, you’re going through physical and emotional injuries, and we want to take some of that stress off so that you can focus on getting better. We’ll handle the legal aspects of your case, so you have the best opportunity for a full recovery physically and financially. If you’re injured on the job, it’s essential to the results of your recovery that you hire a work injury attorney in Texas. We’ll provide you with answers to those pressing questions, and we’ll follow the letter of the law to ensure that you’re represented in a way that gets positive results. A work injury attorney knows that the complex paperwork and legal process can cause many people to see a delay in getting the financial compensation they deserve, and we work to prevent this from happening so that you can get better and get back to your health. There is never a charge to meet and consult with our firm regarding your personal injury case. Our San Antonio & Austin Personal Injury Lawyers are experienced professionals and will advise you on the best course for your case. During a consultation, we will carefully explain our analysis of your case and your rights, along with our recommendation for going forward. We’re here to help. Call today and schedule an appointment to discuss your case.